After Baselworld had finished a common remark that I saw on a number of times on different sites was that Seiko did not release many models this year and the show was very quite for the company. I noted at least 36 new models across the range from divers to dress watches and the vast majority of these are not just different colorways but instead unique watches. I am not sure how many models people were expecting but this does seem to be a reasonable number of releases with models to appeal to a very wide audience. I have put together a gallery of all of the new models at the end of this article so they can all be seen together. A surprising specification that was seen across a high percentage of models from this year was the use of sapphire crystals and not the Seiko Hardlex material. While not highly unusual in the Grand Seiko dress watch models the use of sapphire extended across the Presage and Prospex lineups as well. This included not only the higher end reissue models but also to the SLA019 / SBDX021 (green version of the SBDX017 MM300) and the new much lower cost SBP077 / SBDC061 and SBP077 / SBDC061 models. If these announcements at Baselworld are an indicator we may see a move to more sapphire crystals across the range with Hardlex more commonly seen on the more entry level models. In the Prospex series there were a number of interesting developments. The first thing announced was a new partnership with the distinguished ocean explorer and marine conservationist, Fabien Cousteau the son of Jacques-Yves Cousteau. 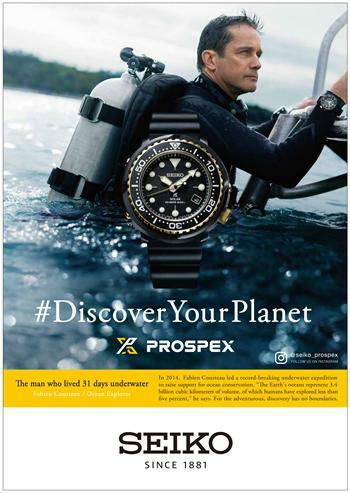 Fabien will feature in Prospex advertising and is also tied to the new "Save the Ocean" series of special edition models that were announced where a percentage of each watch sale is donated to the non-profit Fabien Cousteau Ocean Learning Center that raises awareness of ways to preserve and protect the planets waters and endangered marine life. I think this partnership makes perfect sense and is a really well conceived one. We have seen many brand ambassadors for different watch companies over the years that do not have any obvious connection to the brands or the products that they are endorsing but with Cousteau, a name instantly associated with underwater exploration and conservancy, the connection is obvious. It is great to see the non-profit center also involved from the beginning so it is not just a payment to an ambassador to be associated with their name and image. Most of the Seiko ambassadors have had quite long relationships with the brand, so I would expect this one also to last a number of years. 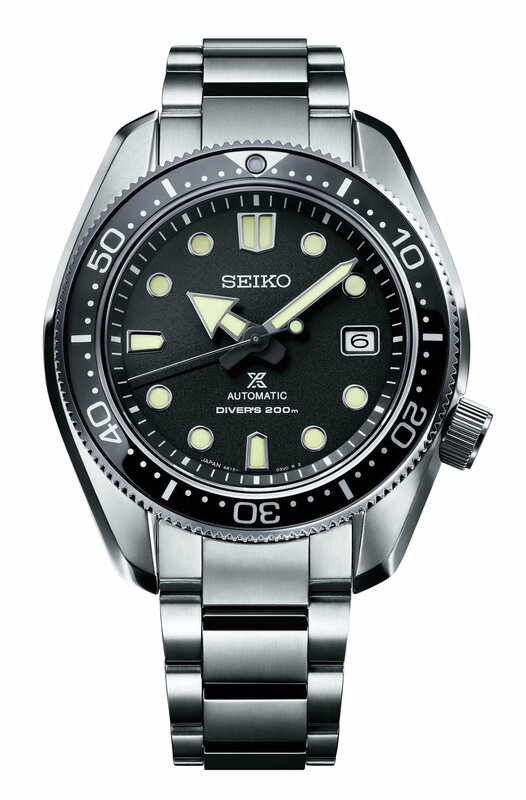 The flagship release this year at Baselworld was the SLA025 that is a recreation of Seiko's original professional diver model the 6159-7000 from 1968. 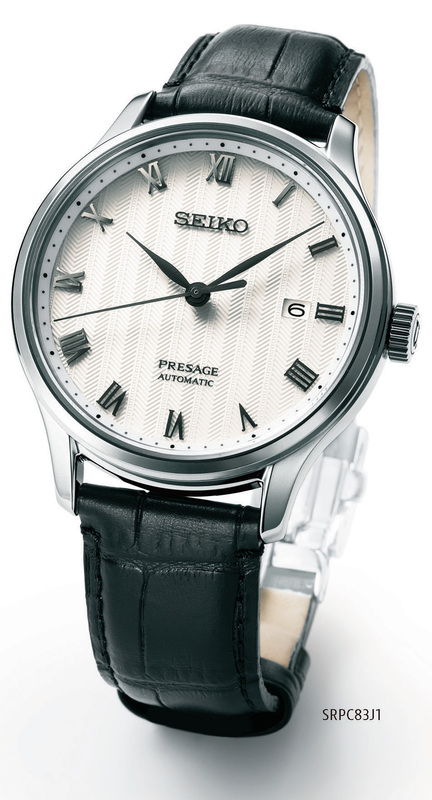 For the announcement of this Seiko issued an official image of the original watch to the press for comparison to the new model. One surprising thing in the image was the condition of the original watch that was presented. A couple of things instantly stand out when looking at the watch, the crystal has numerous areas of damage and this distorts the view of the original dial. 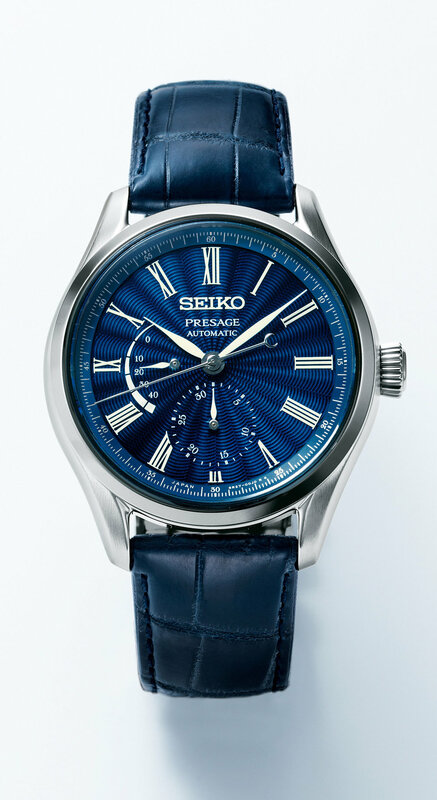 I have seen a number of examples of this watch that are owned by Seiko that have perfect crystals, including the example at the Seiko museum, so to select this example for the official press image was surprising. The other obvious issue with the watch was the dirt and grime that is between the bezel and the crystal. I would have expected Seiko to at least removed and cleaned under the bezel and around the crystal before taking the shots. The other slightly disappointing thing from the 6159 photo was the attached XGL731 "tire track" strap. The 6159 was launched with the ZLM01 waffle strap for the first few months of production. It was later changed to the "Chocolate bar" strap design for the Japanese market from early 1969 until the end of the models life. The 6159-7000 was supplied to international markets throughout its life on the ZLM01 strap. The watch was never sold on the XGL731 strap pictured. As the new watch is being supplied on a recreation of the ZLM01 waffle strap it is disappointing that the original watch was not pictured on one. The dial for the SLA025 looks great, the markers on the dial are well defined with sharp edges to them. This was one complaint I had about the previous SLA017 62MAS reissue where the markers had a much more rounded edge to them compared to the sharp well defined markers on the original 62MAS. 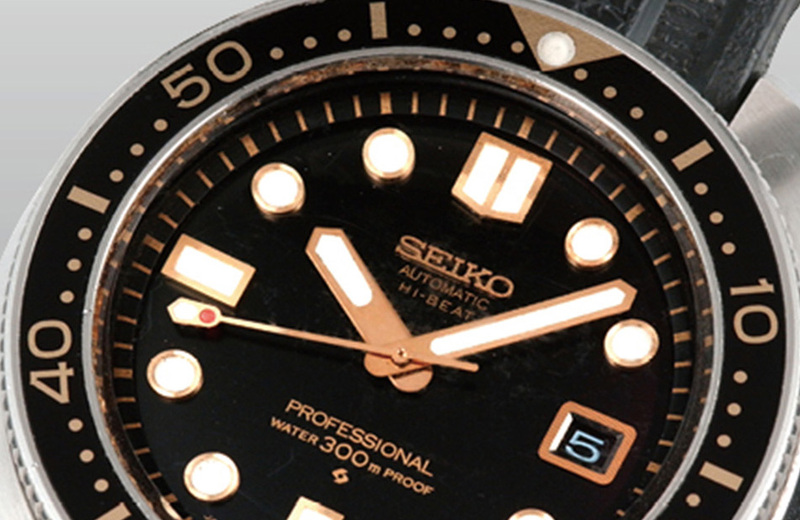 Unfortunately the other thing I did not like about the SLA017 dial continues with the use of a painted Seiko logo. Both the 62MAS and the 6159-7000 have applied Seiko logos and this gives the dial a really nice reflective element that boosts the overall feel of quality on the dial. 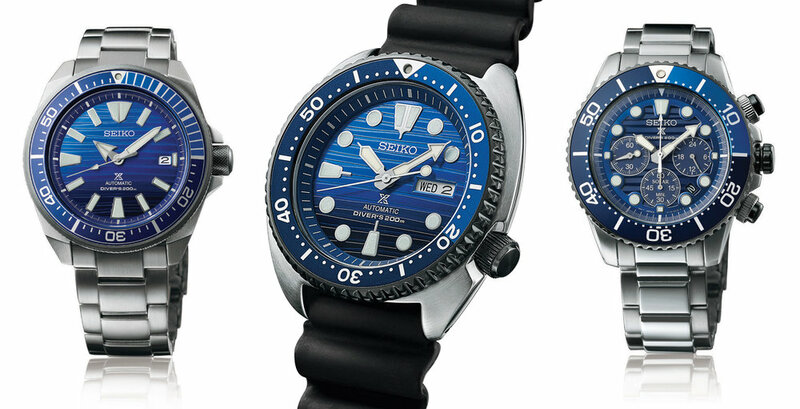 It is disappointing that Seiko again did not include the applied logo. 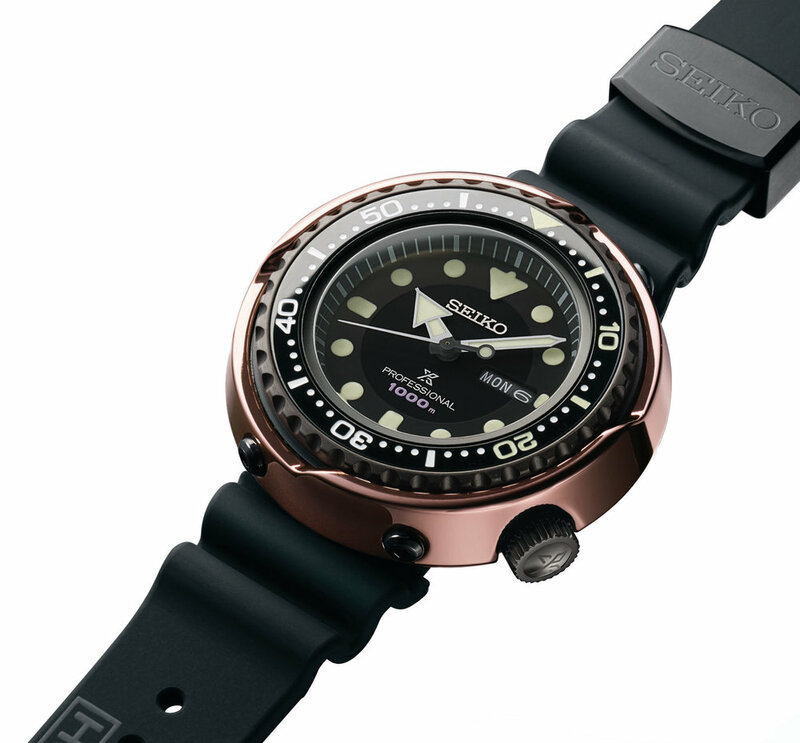 Surprisingly Seiko include the following paragraph in their official press release for the new Prospex models, "In 1968, just three years after Seiko’s first diver’s watch was made, Seiko’s engineers raised the bar with a hi-beat diver’s watch with 300 meter water resistance that was one of the foundation stones on which Seiko’s future diver’s watch development was based. It had a 10-beat high precision automatic caliber, a one-piece structure, screw-down protection crown and unidirectional rotating bezel." 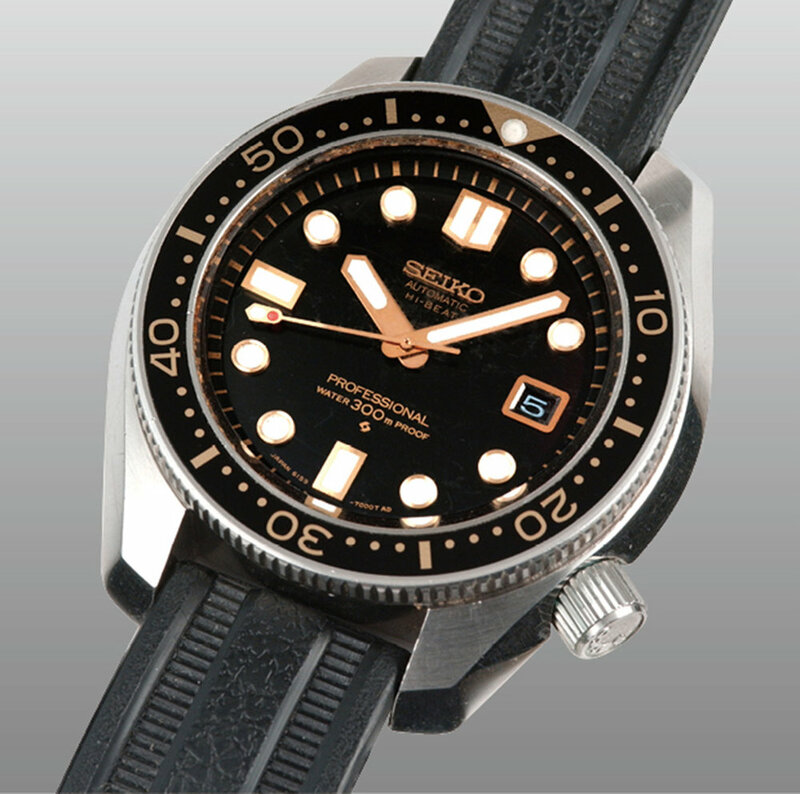 For the reissue of the quartz 7549 golden tuna Seiko surprisingly provided the press image of the watch showing the export 60583 (7549-7009) instead of the PYF018 (7549-7000) JDM model that the reissue is modeled after. While both were released in 1978 the lack of the SQ logo makes it clear the reissue is referencing the JDM model. Another surprising statement in the Prospex press release was the association of the S23627 / SBBN042 with the original 7549 golden tuna. 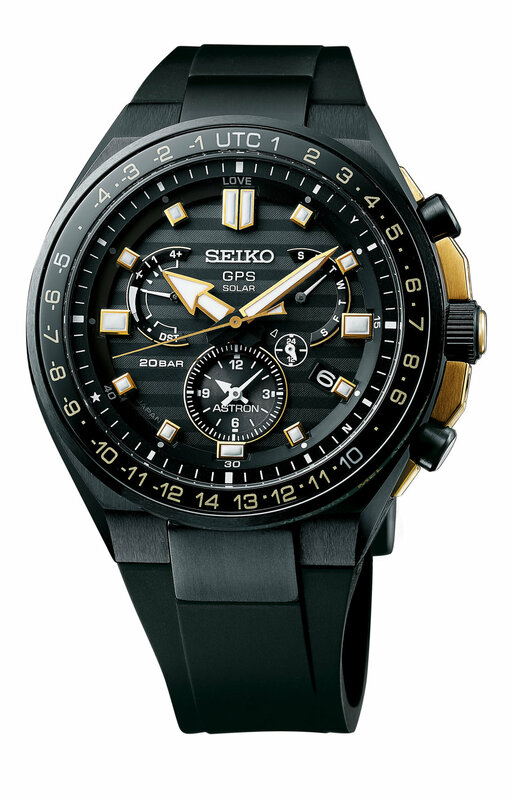 The new model is described as the "1978 Quartz Saturation Diver’s Commemorative Limited Edition model". I am not sure why this would be the case as this model has a completely different shroud, bezel, hands, and dial when compared to the original 7549 model. This new model shares a clear design history with a number of the modern tuna models and the use of the violet-golden cermet shroud is a nice combination. I do not think that there was any need to try and tie this model to the 1978 model and instead it can easily stand alone as a new model. The use of the original model association in the marketing just seems a little desperate and takes away from the real S23626 / SBBN040 golden tuna reissue. On the strap for the S23627 there appears to be the same marking of PROFESSIONAL He-GAS DIVER'S 1000m that was featured on the strap (R00E022N0) supplied with the SBBN021 Blue Ocean tuna from 2012. This can be partially seen in the product shot from the 2018 catalog and just at the bottom of the standard image. 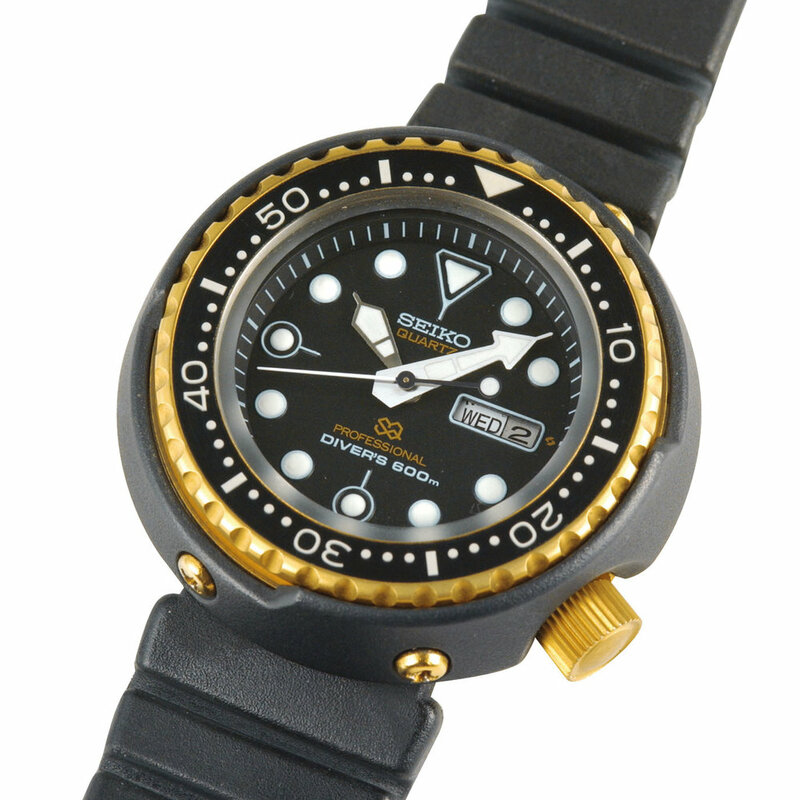 The original 7549 golden tuna was indeed a milestone release for dive watches and the reissue model is very nice but this has had a number of very similar models released over the years so I would have preferred to have seen a reissue of the 6105-8000 that was also originally launched in 1968. 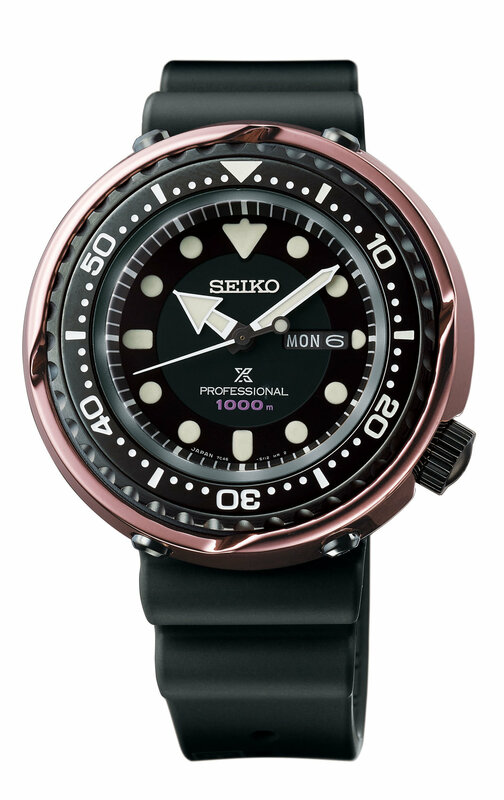 This is also a iconic Seiko diver that is loved by Seiko fans but it is possible Seiko thought that releasing this at the same time as the 6159 reissue would have diluted it's impact. Hopefully we will see a reissue of the later 6105-8110 model but this is now unlikely till it's 50th Anniversary in 2020. 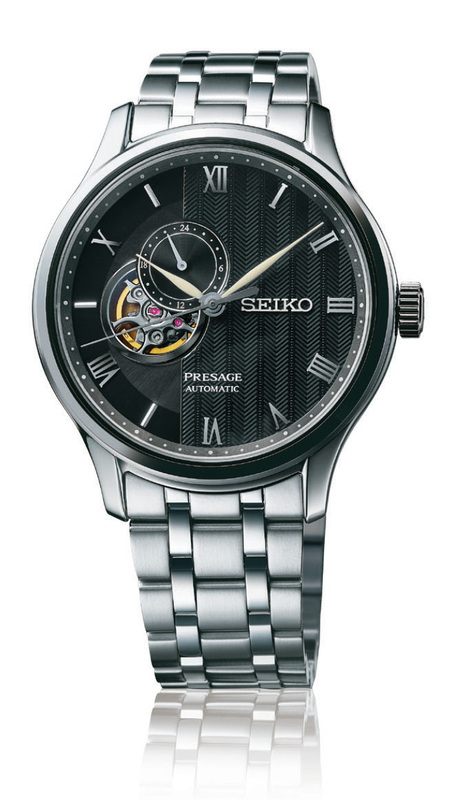 The Presage announcements featured an exciting new movement for most Seiko fans is the 6L35 calibre that is used in the new slim SEJ073. This new 6L35 movement is 3.7mm thick, has 26 jewels and runs at 28,800bph with a 45 hour power reserve. 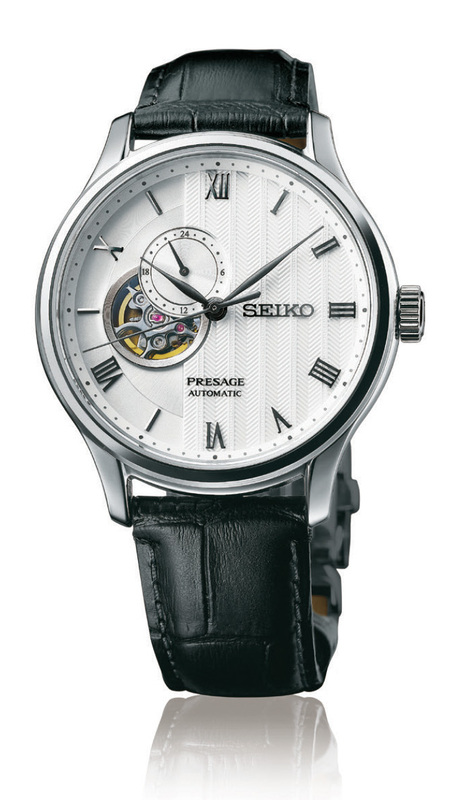 The height of some previous models of Presage has been a point of contention for some prospective owners and has made the watches seem a little imbalanced. A new slimmer movement will give designers a new alternative when designing models in this series. It will be interesting to see if the movement hand winds or is auto only as this could expand the versatility of if the movement even more. I would love to see a very slim hand wind only variant being using in mid-level watches. The other new addition to the Presage line up was the inclusion of three new models to the Cocktail Time series developed exclusively for women. I think this is an excellent addition and can help to expand the appeal of the series. 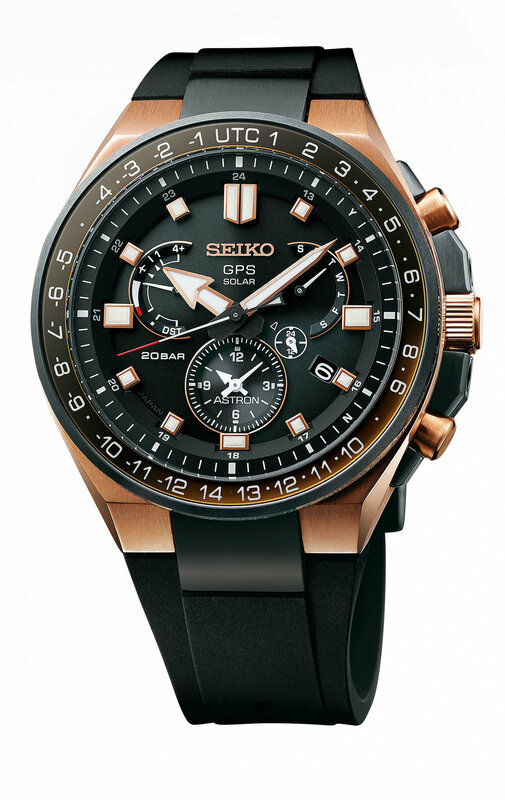 Seiko has sold "pairs watches" for many years with sets of both women's and men's models that can be purchased together. These are marketed towards couples celebrating and an anniversary, wedding or special occasion. I can easily see a set including the blue men's SRPB41 model paired with the red women's SRP853 model, or the rose gold men's SRPB46 paired with the SRP852. The new women's models are 33.8mm in diameter and utilize the 4R35 movement so my only concern with this would be the thickness of the watch. 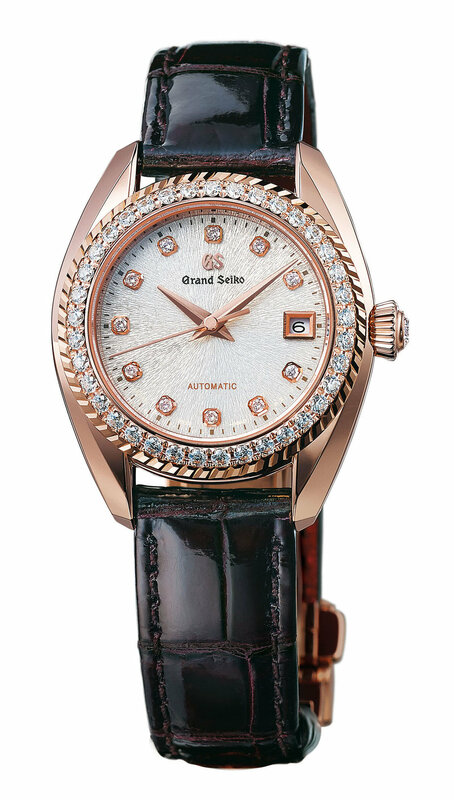 There was also a new Grand Seiko movement announced the 9S25, a compact high end movement for ladies watches that will first be used in the new Grand Seiko STGK002. 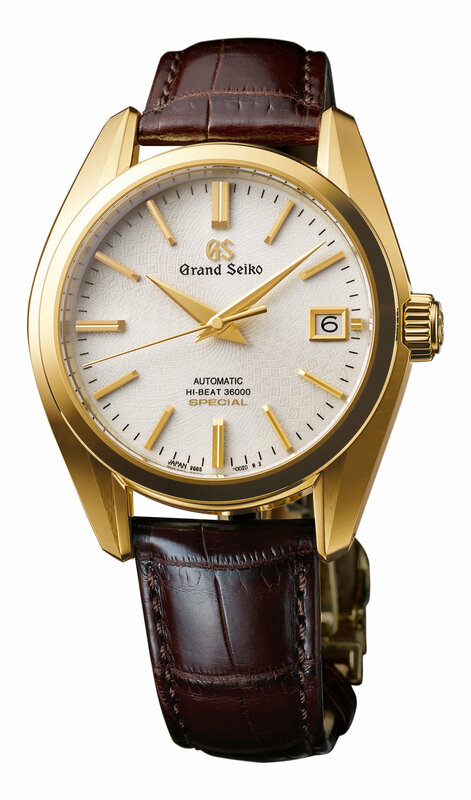 It is great to see Grand Seiko expanding their line up for women by including mechanical models and not just the high end quartz models they had been using. 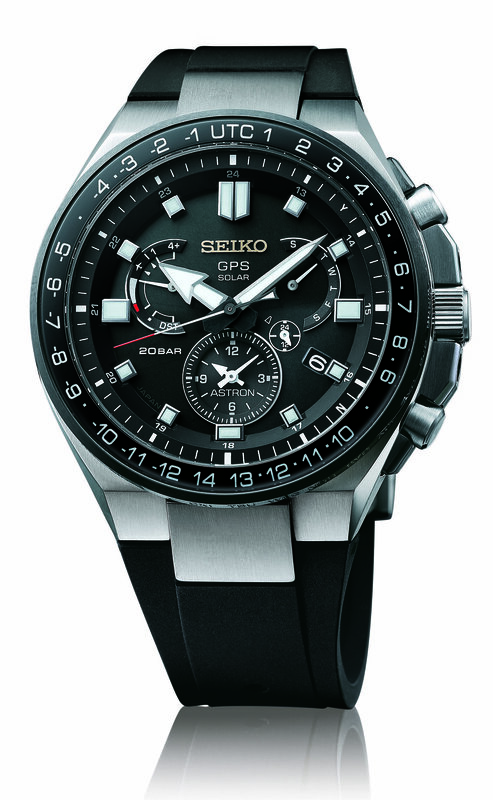 This expansion of the market indicates that Grand Seiko is expecting to see growth in this area. It is also nice to have a smaller high quality movement option available as it could be used in men's watches if they have a case design that has a unique shape or features that require the use of a more compact movement. I think in general it was an interesting series of releases this year and there should be something to appeal to almost every Seiko fan. I look forward to seeing what other models are released throughout the year.